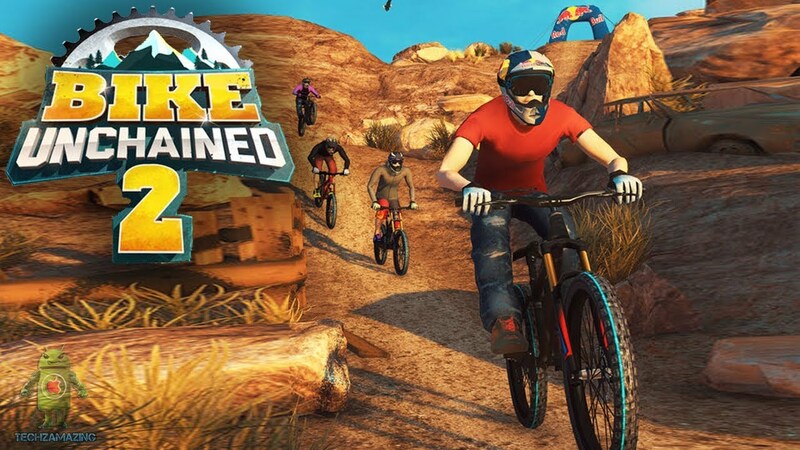 Downhill mountain biking is one of the tougher games to get right especially on mobile. Well Red Bull got it right with Bike Unchained 2. With simple controls and cool graphics, it is a game that any extreme sports buff can get into without messing around with the setting. Unlike real downhill racing, you won’t get bruised either. Biker Unchained 2 uses an over the shoulder camera which makes it easy to see where the bike goes. Your bike turns in the corners on its own, so your finger just manages the biker’s position. Raise your finger to navigate the inclines and go uphill. For rough terrain tap the screen as you go. For downhill, tap the screen and watch your bike move. The hills are varied so the game does not get monotonous. You will also come across jumps in various areas. If you come to see one, let your finger go as you approach then tap as you land down. This is not as difficult as it sounds and will really come in handy when you race. Speaking of which you’ll be going up against other bikers via multiplayer mode. Want to improve your bike skills first? You can engage in ghost races, a feature used in various racing gamers and is well implemented here. There are other race modes too so there is plenty to keep you happy here. While Bike Unchained 2 does a good job bringing the sport to mobile, it doesn’t compromise in the fun factor.